Plantation Shutters Wilmslow and Alderley Edge from Just Shutters – let us inspire you! Our local Cheshire Plantation Shutters expert, Richard Hopper, brings Just Shutters fantastic bespoke interior shutters and unrivalled service to Wilmslow, Alderley Edge and the surrounding areas. Call us on 0161 413 4525. The area can boast being the most sought after place to live in the UK, which makes Wilmslow and it’s eclectic mix of homes and residents some of the most unique and discerning in the country, and we at Just Shutters know how to ensure that we meet your every expectation of us. Our hand crafted, tailor made plantation shutters offer exceptional value, giving you the look and feel you need while offering the added security, privacy, low maintenance benefits of these fantastic shutters – and of course our lifetime guarantee. 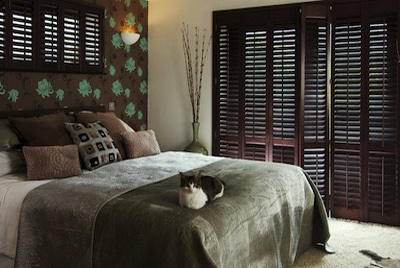 For these reasons, when looking for Plantation Shutters Wilmslow and Alderley Edge, look no further than Just Shutters! Choose from our vast range of colours, finishes and styles to make the very most of your windows and doors. Whatever your taste, your interior and style, we can match you with the shutters that you will love! You can start by calling us on 0161 413 4525 and we can help and advise you, send you a free colour brochure or arrange a design visit. We pride ourselves on our transparency at Just Shutters, our information pages are laid out to give you any advice you may need, please see more under our about menu, while our experts in the office are always happy to give you personalised advice and answer your shutter questions, please do call us for more.